Tesla Charger -Plano Texas Handyman installs Tesla Home Charging Stations. Below is a list of the most common wiring apparatus for Tesla Home Charging Stations. Call today for a quote on your installation at 214-507-3415 or visit our website for more information. Listed below are the most common devices for Tesla Home charging. We install Tesla Home Charging Stations for all panel products: Square D, Eaton, General Electric, and a few others. Installation charges for a Mobile 1450 with standard charges start at $350 and the Tesla wall connector at $450. 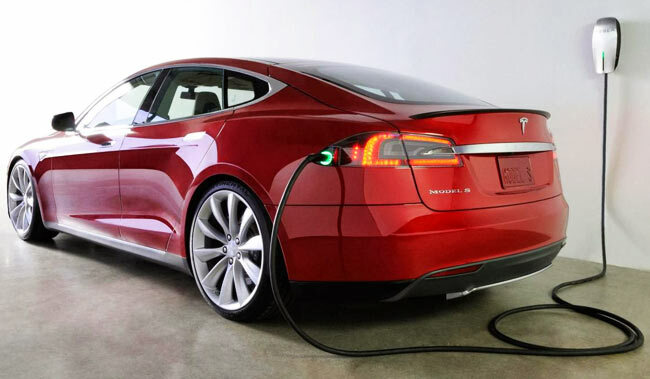 Mobile Connector – The Mobile Connector is included as standard equipment with a new Tesla. It’s a compact bundle that can charge your car from different outlets at medium to low speeds. We recommend installing a Wall Connector at home and leaving the Tesla Mobile Connector in the trunk of the car as a backup option while traveling. When installed with a 240 volt 50 amp breaker will produce (Miles of range per hour of charge) for the Model 3 of 30 MPH, the Model S of 23 MPH, and the Model X of 20 MPH. DO NOT even consider 120 volt service as it will not produce desired results. Wall Connector – A Tesla Wall Connector is the most convenient way to charge at your home or office, with the fastest charge speeds. Simply plug in overnight and wake up to a full charge, every morning. Please refer to Tesla Support for specific details on the Tesla Home Charging Station wall connector. Call today for a quote on your installation at 214-507-3415 or visit our website for more information. Listed below are the most common devices for Tesla Home charging.